Catch more fun at the beach or in your backyard with these soft, self-stick mitts and balls. 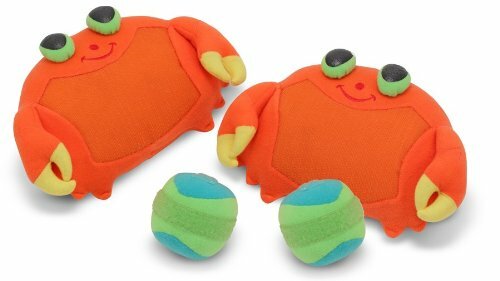 Clicker Crab Toss & Grip helps develop hand-eye coordination. Crab-themed toss-and-catch game for two players. Includes two soft, self-stick mitts and balls. Helps develop hand-eye coordination and gross motor skills. If you have any questions about this product by Melissa & Doug, contact us by completing and submitting the form below. If you are looking for a specif part number, please include it with your message. © 2019 - taigameduaxe3d.net. All Rights Reserved.